During the course of Second World War in order to secure cooperation of the Indians , the British made an announcement on 8 Aug,1940 which is known as August Offer. Gandhiji was not satisfied and decided to launched Individual Satyagraha.As the wartime situation was worsening , the british govt. in its continued effort to secure Indian cooperation set Sir Stafford Cripps to India on 23, March 1942 known as Cripps Mission. The promise of Dominion status to India ,protection of Minorities,setting up of a Constituent Assembly in which there would be representatives from the princely states along with those of British provinces. Gandhiji beleived that an interm government could be formed only after the British left India and the Hindu-Muslim problem sorted out. 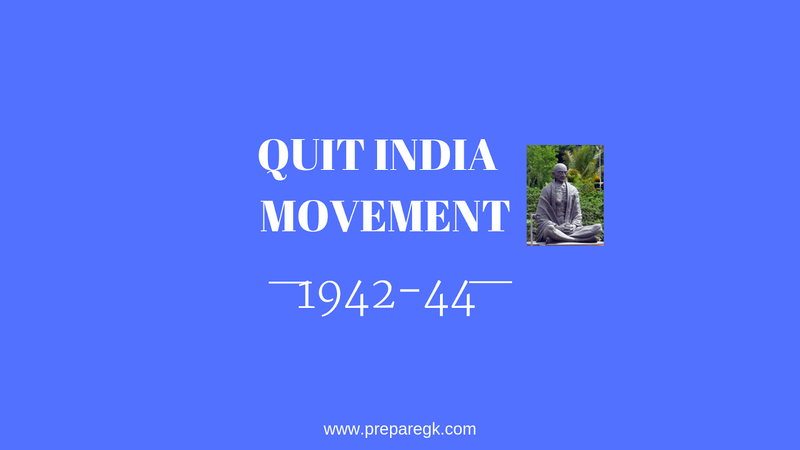 The All India Congress Committee met at Bombay on 8,Aug 1942 and passed famous Quit India Resolution. 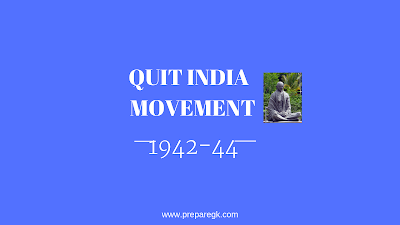 Gandhiji gave his call of "Do or Die" .The failure of the Cripps Mission and the fear of impending Japanese invasionof India led Mahatma Gandhi to launched Quit India Movement. During this movement many prominent leaders were arrested . Mahatma Gandhi kept in prison of Poona. Pandit Jawaharlal Nehru, Abdul Kalam Azad and other leaders imprisoned in Ahmednagar fort. The role of Jayaprakash Narayan was important . A large no. of school and college students left to join this movement. The youth of the Nation also participated in the movement with great patriotism . The events like strikes , demonstrations , public meeting were also held in various towns and cities .This movement reached rural areas and paved the way for India's freedom.